This two-part series utilizes archival sources in the UO Special Collections and University Archives to show the long and contentious history of athletic mascots on the Eugene campus. Read more about the Webfoot era in Part 1. This two-part series utilizes archival sources in the UO Special Collections and University Archives to show the long and contentious history of athletic mascots on the Eugene campus. 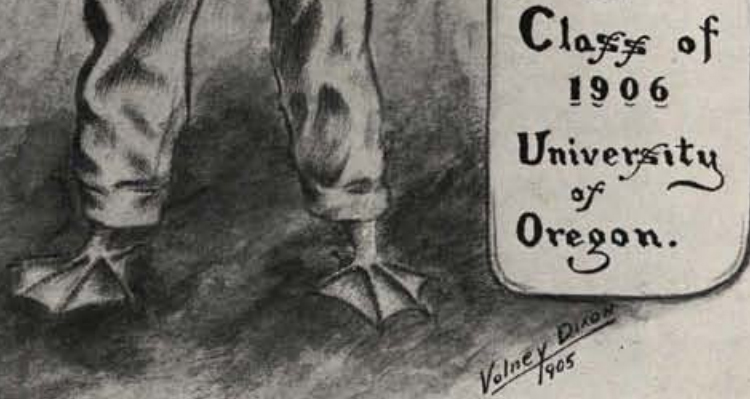 When the University of Oregon played its first football game in the spring of 1894, there was not a mascot patrolling the sideline and inciting crowd participation. The UO team that played Albany College was known only as the “lemon yellow,” referring to the accent color of their uniforms. 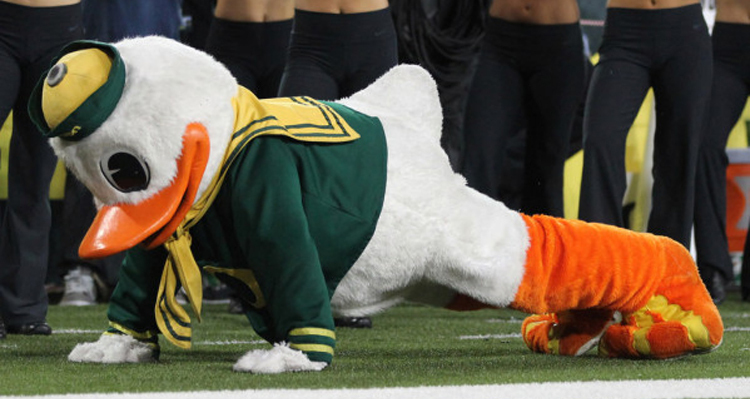 When the team returned to the field for three games in the fall, there was still no defining mascot for the team. For three decades after that first season, the school would have no official representative for its sports teams, and it would take another half-century before Oregon became the Oregon Ducks. Instead UO would come to be known by an obscure east-coast reference turned pejorative turned source of pride — the Webfoot.